Gerd Skibbe: Kardinal George und Erzbischof Chaput: "Wir pflegen Freundschaft mit den Mormonen!" Kardinal George und Erzbischof Chaput: "Wir pflegen Freundschaft mit den Mormonen!" "Catholic Archbishop Charles J. Chaput of the Archdiocese of Philadelphia urged students at Brigham Young University to help defend faith and religious freedom." Erzbischof Chaput warb dringend darum gemeinsam den Glauben (an Christus) und die religiöse Freiheit zu verteidigen. 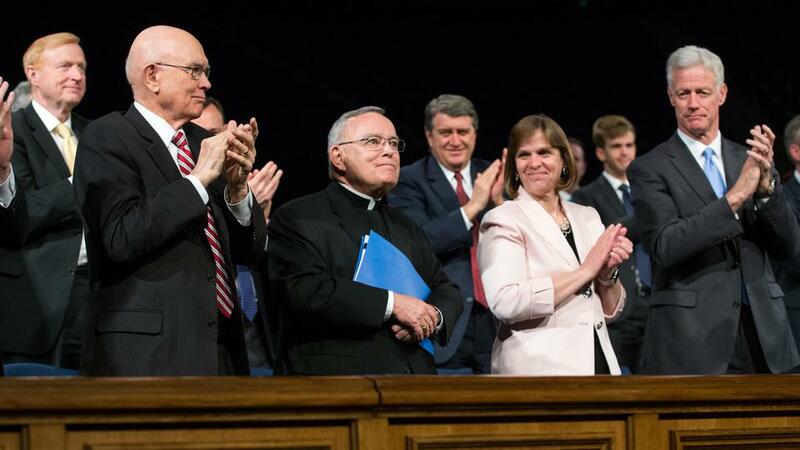 Archbishop Chaput spoke during a forum in the Marriott Center on the Provo, Utah, campus on Tuesday, March 22, 2016. He was joined on the stage by Elder Dallin H. Oaks of the Quorum of the Twelve Apostles of The Church of Jesus Christ of Latter-day Saints. The private university is owned and operated by the Church. Catholic Archbishop Charles J. Chaput of the Archdiocese of Philadelphia urged students at Brigham Young University to help defend faith and religious freedom, March 22, 2016. © 2016 by Intellectual Reserve, Inc. All rights reserved. 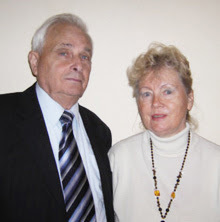 “No society can sustain itself for long if marriage and the family fall apart on a mass scale. And that’s exactly what’s happening as we gather here today,” stressed Archbishop Chaput. This is Archbishop Chaput’s second speech on the BYU campus. He delivered a message on religious freedom on January 23, 2015. His visits follow a 2010 speech on the Provo campus six years ago by Cardinal Francis George, who also fostered friendship between Catholics and Latter-day Saints. Cardinal George passed away last year. Archbishop Chaput’s address was carried live on BYUtv.org and can be viewed online. Dies war der zweite Auftritt des Erzbischofs auf dem Campus der Uni… vor einem Jahr. Dem vorausgegangen war eine Rede von Francis Kardinal George, 2010, am selben Platz, der sich für eine Pflege der Freundschaft zwischen Katholiken und den „Mormonen“ aussprach. Kardinal George verstarb im letzten Jahr.